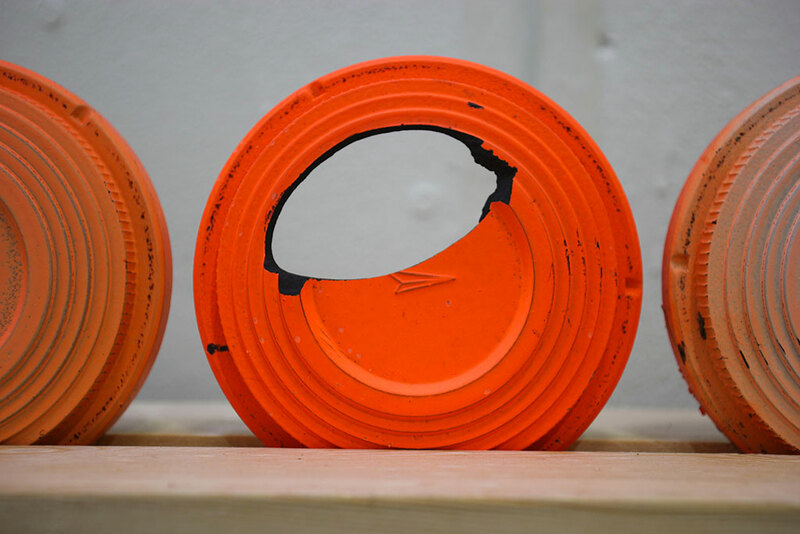 Trapshooting disc hit by bullets, wood. 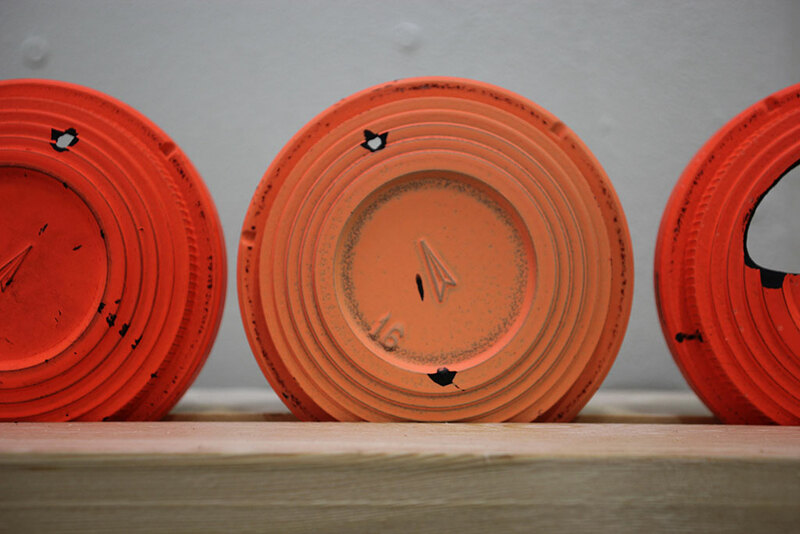 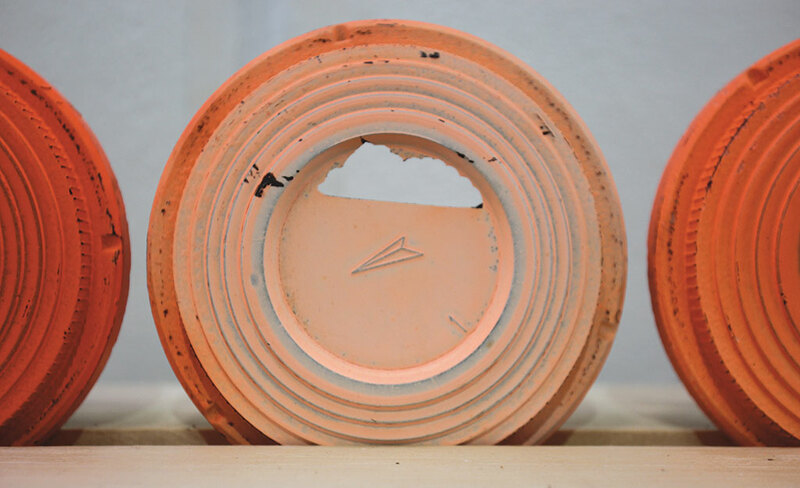 Survivors presents a collection of clay targets retrieved from trapshooting grounds. 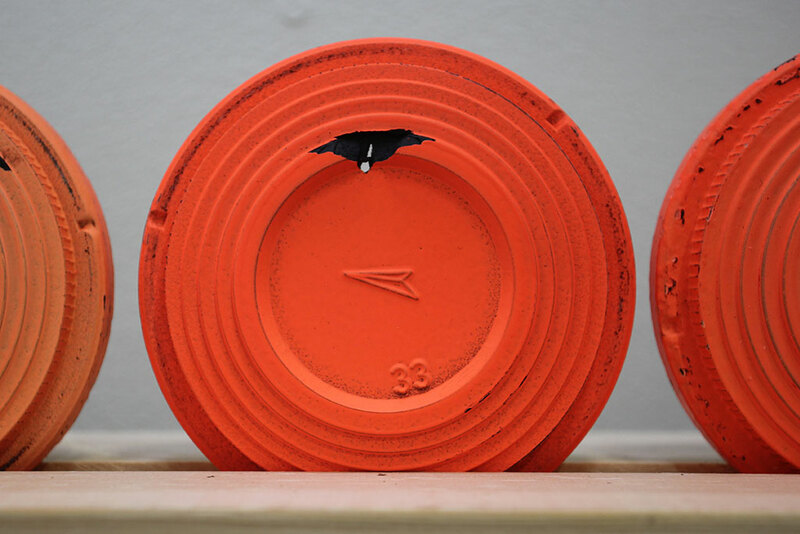 These surviving discs, bullet wounded in different degrees but still whole are covered with biodegradable paint. 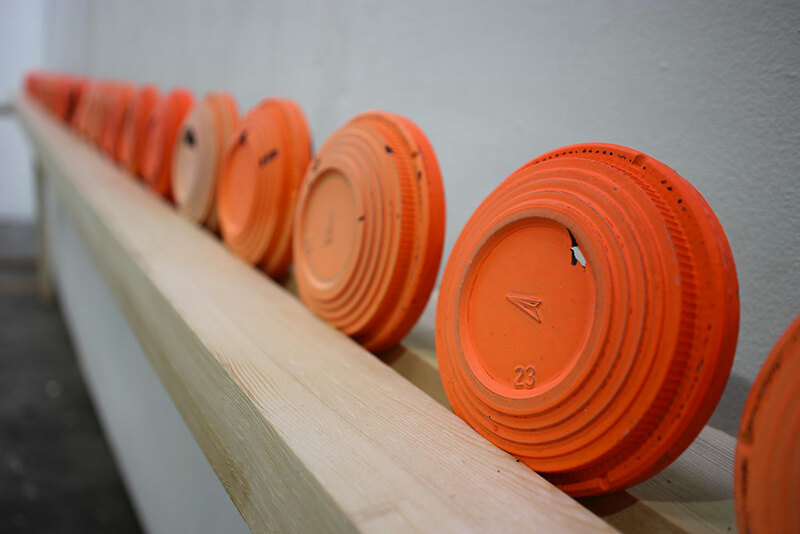 This bright orange evolves depending on their exposure to light, on the battle field or in the exhibition space. 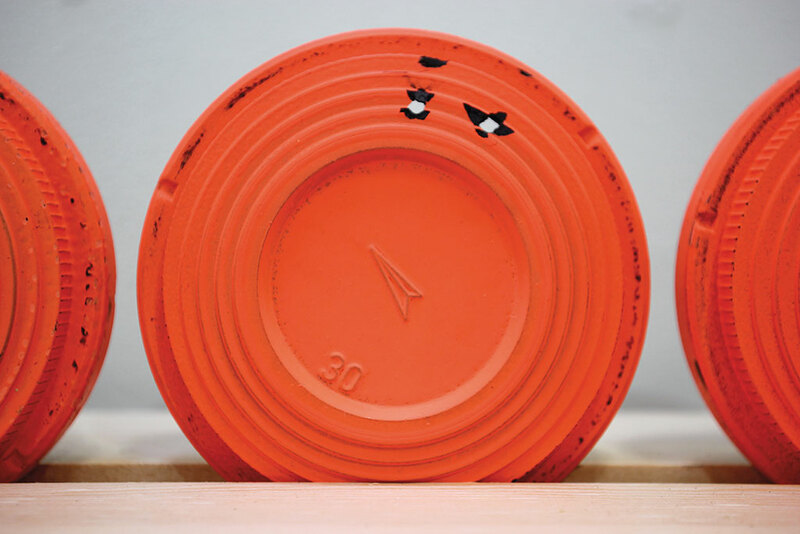 Matter exposed to bullets.